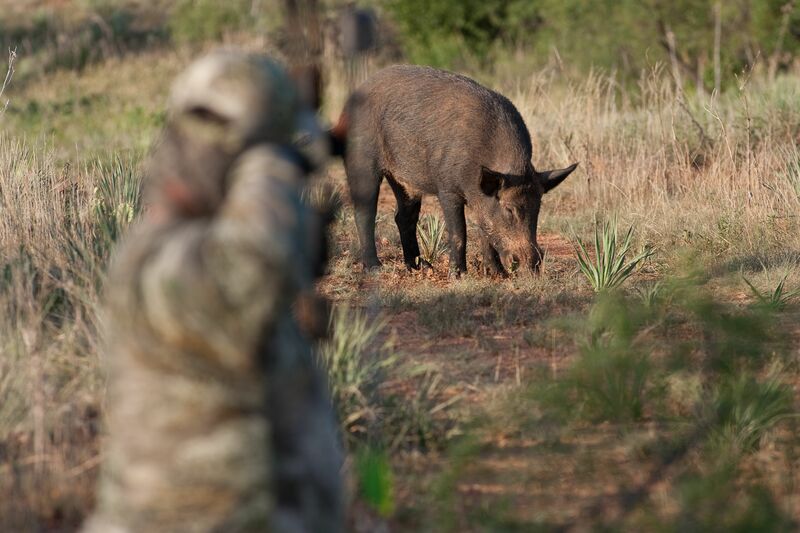 The growing feral hog problem in Texas has proven to be very tough to manage. However, there are some new possibilities on the horizon that could lessen the impact of this invasive species. Dr. John Tomeček, Assistant Professor and Extension Wildlife Specialist at Texas A&M AgriLife Extension Service, gave me a rundown of feral hogs’ history in Texas, the impacts they have on Texans, various methods used to manage populations, and how landowners can contribute to the effort to reduce the damage done by feral hogs. Pigs are a non-native species that were first introduced to North America in the 1500s. They were brought over by Spanish conquistadors who planned to herd them, but they ended up getting loose and multiplying in the wild. While a small population formed from this introduction, the primary population increase came in the 1800s during early American settlement, such as Austin’s Colony. During this era, most pigs were raised as free range. When winter came, they were gathered into pens, killed and used for cured meat. Free-ranging pork production declined in the 19th century when refrigeration came into the picture, and many pigs were released. The modern pig problem, however, came in the late 20th century with the rise of the hunting industry. In addition to the existing released domestic pigs, wild boars were imported from Europe and Asia for hunting. While there have been domestic pigs and releases of small groups in Texas for centuries, the growth of the hunting industry and transportation of the pigs to new territories ultimately contributed to their major population increase. This series of events has resulted in the major feral hog problem that we see today. Many Texans have faced significant financial loss, land destruction and crop damage from this invasive species. 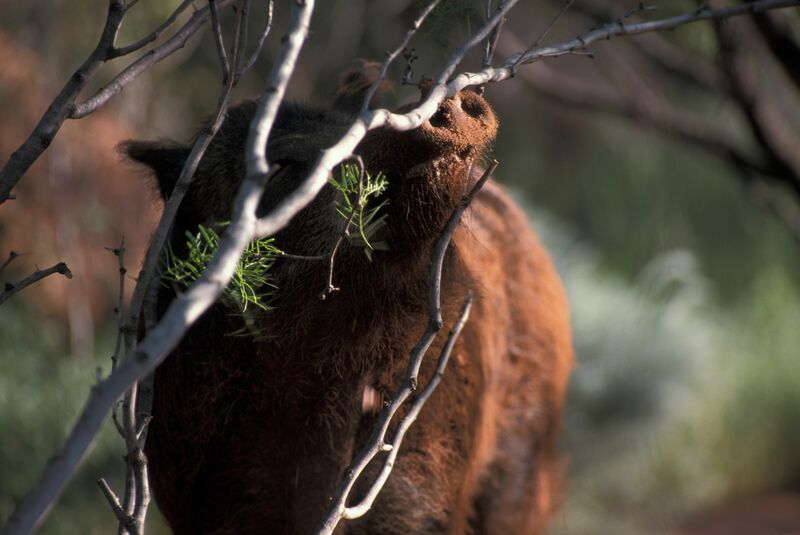 According to Texas A&M AgriLife Extension, feral hogs cause approximately $52 million annually in damages to Texas agricultural producers—and that’s not including damage done to habitat used by native wildlife or suburban areas. Hogs have a larger variety of negative impacts than many may think, causing damage to fields and crops, spreading disease to livestock, destroying habitat and killing native wildlife, tearing up yards in urban areas, and contaminating watersheds. Enos Austin, a hay farmer in Nacogdoches, has faced significant damage from feral hogs to his hay meadows for the past 20 years. Austin has a 15-acre meadow that has been repeatedly rooted up to the point where it was rendered useless for hay production. In addition, he’s had farm equipment totaled as a result of running over damaged fields. At about three rolls of hay per acre, Austin loses a lot of money, labor and time when his property is hit. 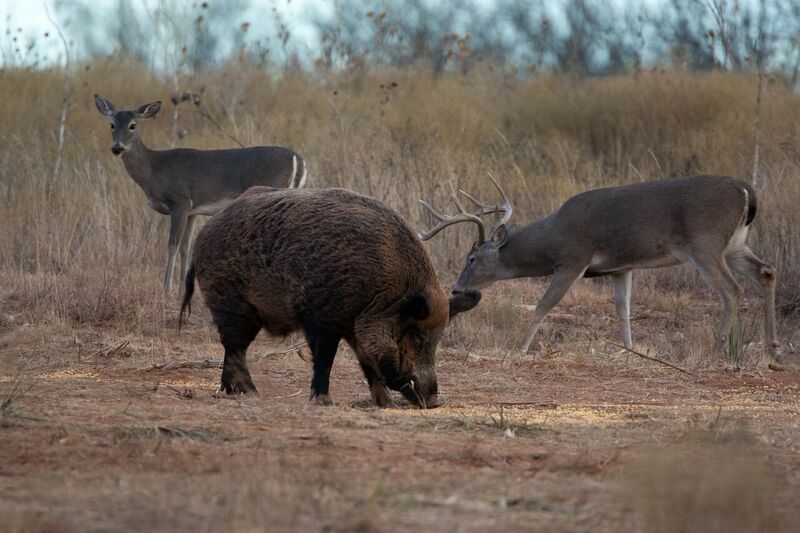 Aside from the significant impacts feral hogs have on agriculture, they also affect other wildlife species that are native to Texas, destroying habitat and killing some animals such as ground nesting birds and fawns. To add to the list of negative impacts feral hogs have in Texas, they also contaminate our water sources. 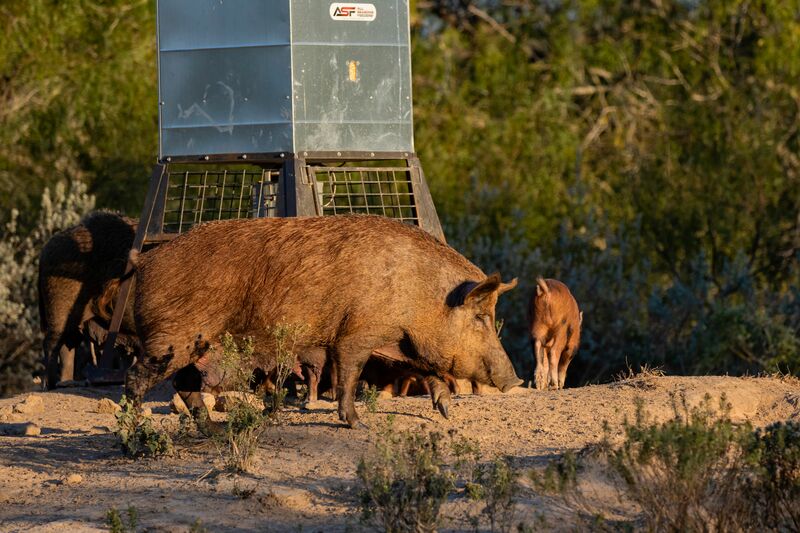 With the impacts feral hogs have on Texas only getting worse, researchers and biologists are doing their best to come up with new ways to prevent further population growth. In addition to traditional trapping and hunting, technology has opened new doors for more advanced trapping methods, and the possibility of using toxicants and contraceptives are on the horizon. What’s being done to combat the overpopulation? Many methods have been used over the decades to control hog populations, and some have greatly evolved with the advance of technology. With the options of new and old methods, we currently have a lot to choose from—hunting, trapping, snaring, running dogs and aerial gunning, simply put. Tomeček explained that there are pros and cons to most methods, and the largest impacts are usually made when multiple methods are used in conjunction with one another. 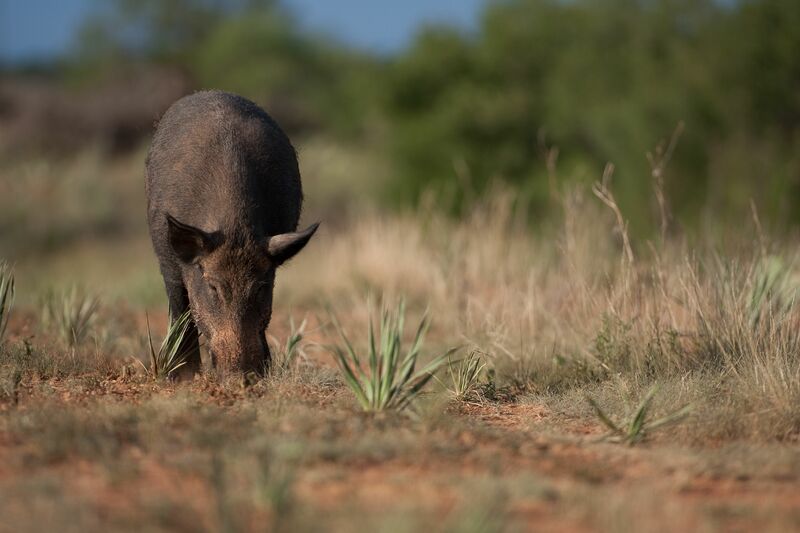 While methods like hunting and running dogs work well for scaring feral hogs away from an area for a while, they aren’t very effective in controlling populations as a whole. One highly effective method, depending on the area and the ability to implement it, is aerial gunning. 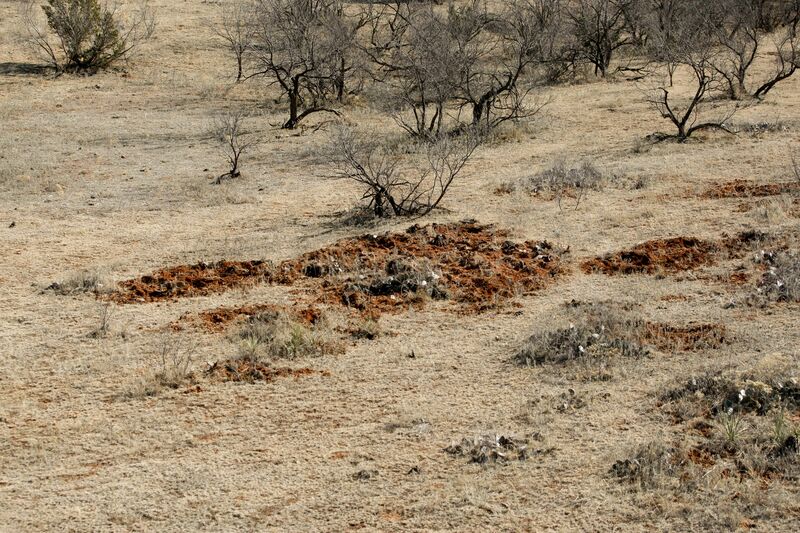 Tomeček noted that setting snares in conjunction with aerial hunting can be effective, as the pigs are not paying attention to where they are running. However, trapping other wildlife in snares is a possibility. 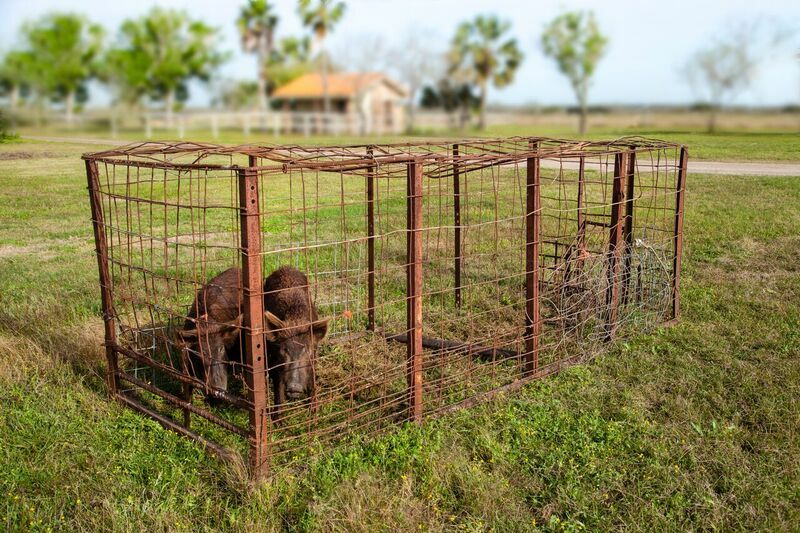 Trapping methods for feral hogs have come a long way in recent years, and modern technology has allowed for more efficient ways of implementing traps. With electronic triggered doors and traps that can be monitored on a cell phone, it is now much easier to catch large groups of hogs and ensure that other wildlife species aren’t being trapped by mistake. While high tech traps can be very costly and may not be an option for many landowners, there are cheaper options and ways to create makeshift traps. Regardless of how it’s set up, the important thing is to make an effort to trap. There’s another category of population control methods that is not yet available to the public, but could be a possibility in the future—chemical control. Chemical control methods are fairly controversial but could be highly effective in reducing feral hog damage. While toxicants can often be the subject of heated debates when discussing feral hog control, many people are okay with the idea of using contraceptives on hogs. “Most of the public is not land owning, they’re not agricultural producers, they’re not hunters. They are folks that live in urban areas and may not have much experience with these things,” Tomeček said. “So, when you talk about toxicants that doesn’t always sit well with people, but contraceptives, that doesn't bother folks as much." Even with these new chemical possibilities, though, other management methods will still need to be used. A true change will only occur if landowners are willing to put in the work to help. 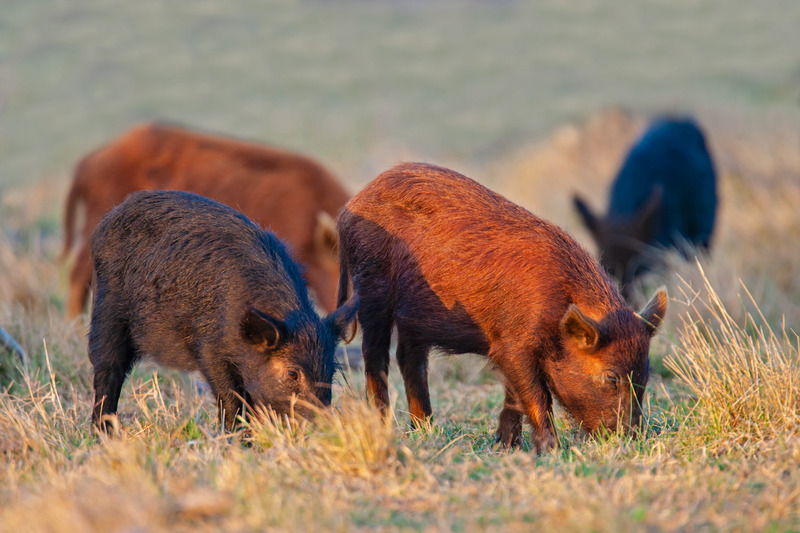 According to Tomeček, it’s important to be proactive about managing feral hog populations. In Texas, a common mistake that landowners make is not worrying about hogs on their property until the numbers have already gotten out of control. In many places like East Texas, it’s become a cycle of managing the damage rather than preventing population growth and dispersals. In places like West Texas where it hasn’t gotten bad yet, landowners should take measures to get control of the situation before it’s too late. Educating others is another important way to contribute to the cause. While landowners who have dealt with feral hogs know how much of a nuisance they are, the common Texas resident is not aware of the issue. The two primary things Tomeček normally advises, though—use every method early and often, and work together with your neighbors in an effort to minimize the issue. 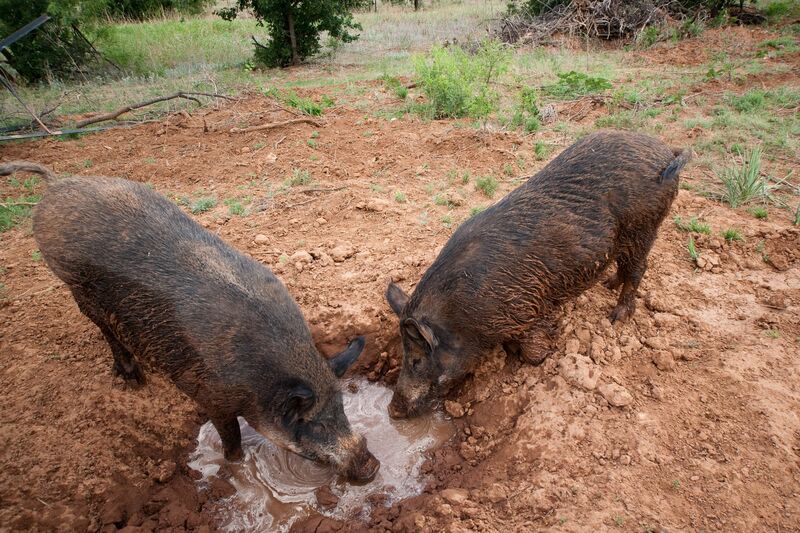 Landowners normally see the most results when multiple methods are combined to capture hogs. Implementing these methods before the problem gets out of control—when possible—is far more effective than just managing the damage. Many of these efforts can backfire, however, if landowners are not willing to work with their neighbors to eradicate feral hogs in the entire area.